After Senegal in January 2019 and Panama and Benin in 2018, it’s time to move our Co-Creation workshop to India, more specifically New Delhi on May 16 & 17, 2019. 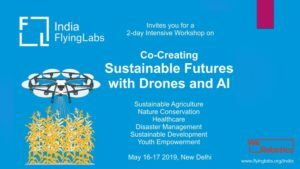 India Flying Labs’ Co-Creation workshop entitled “Co-Creating Sustainable Futures with Drones and AI” aims to bring together thought leaders from Sustainable Agriculture, Nature Conservation, Healthcare, Disaster Management, Sustainable Development and Youth Empowerment. Together, attendees will participate in an open discussion aiming at co-creating an ecosystem for using innovations such as drones and AI to solve some of the complex social challenges of our times. 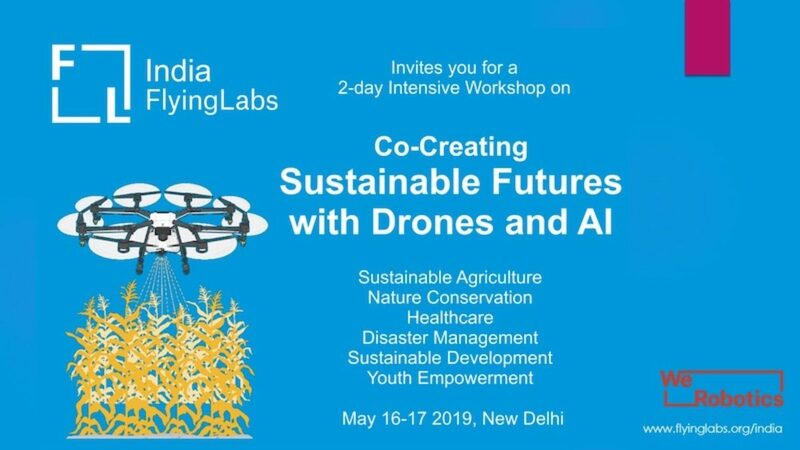 This workshop is part of a series of Multi-stakeholder Consultative Meetings hosted by India Flying Labs in order to encourage discussion and dialogues among key stakeholders to understand each other’s needs, identify gaps, brainstorm solutions and conceive actionable ideas. As a non-profit, open, collaborative network of social innovators keen on applying technology for social good, we are hoping to enable the basic groundwork needed for cooperative integrated development. Find all relevant information, including the detailed program, in this brochure. If you are tackling a complex social problem and are keen on engaging with technology in the 4th Industrial Revolution, we invite you to participate in this Co-creation Workshop. We intend to keep the participation limited to a moderate number, we encourage you to apply before April 30 using this form. The confirmed participants will be notified by May 1.